This minimalistic Business WordPress Theme is a great example of a contemporary web design for business websites. The pastel color palette, the impressive images and slight animated effects make this simple HTML template the perfect choice for law firms, consulting businesses, financial advisor, insurance company etc. This responsive Music WordPress Theme was developed with a music apps site in mind. The hero header here features a logo, call-to-action buttons and a short greeting text. 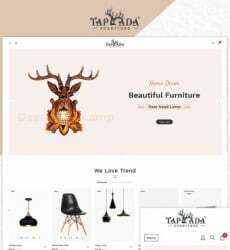 The colors used in this WP theme are smartly chosen to grab attention in the most important areas, the parallax scrolling effects bring in the much needed dynamics and the lazy load will make sure your site loads fast. Check out the live demo to see all the features the theme comes with. 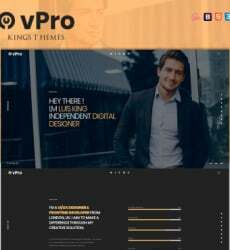 The following company WordPress layout will provide modern-day and pro look for any online business webpage. The contact form together with the built-in Google map will help your clients find the off-line location, and video integration along with music player might make any website a great deal more fun and entertaining. Some of the other crucial highlights of the corporate WordPress layout include wholly responsive design, quite a few color and typeface solutions, a number of different galleries to choose from, animation effects etc. The Restaurant and Cafe WordPress layout is an awesome way for you to establish a solid web business inside the refreshment sector. Any type of cafe or diner may benefit with this magnificent WordPress template. 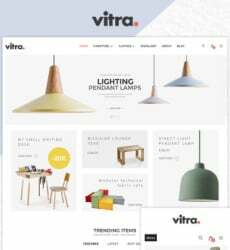 The functions comprise of a 100 % responsive layout, an exceptionally uncomplicated to run a site with administrative panel, sophisticated and modern day design and much more remarkable features. Look at all of them within the live demonstration.